K B M Hawaii: Ocean Views, Extra Large Corner Suite 2 Bedroom, FREE car! Jun Specials From only $200! Vacation in ultimate style in this extra-large two bed, two bath luxury villa at the beautiful Honua Kai Resort. This corner villa features floor to ceiling windows for a breathtaking 270-degree view of the majestic Maui Mountains and the glistening blue ocean. The chef's kitchen is your gourmet home-away-from-home, and your family will create the best memories dining and lounging on the massive 1,100 sq ft lanai with seating for eight with ocean views to the west. For ultimate modern comfort, this villa includes (at no additional cost) the KBM Hawaii Premium Media Package featuring: ultra-high-speed Internet with 50Mb download speed and 15Mb upload speed for concurrently streaming audio and video to multiple devices, 300 High Definition cable channel service with movie guide, and free inbound and outbound calls to USA, Canada, and Mexico. Come experience the ultimate luxuries of the old and new worlds here in this beautiful villa! Villa HKH-236 is professionally managed by KBM Hawaii, your premiere source for luxury vacations and and real estate. The calendar and rates below are always accurate - last update was today at 10:25 AM. With over 60 years of combined hotel, real estate, and vacation rental experience, KBM Hawaii's award winning team has been delivering quality real estate services to fit any lifestyle, taste and budget. We believe that more choices, value and service in the world's most desirable vacation destinations equal very happy guests. In the tradition of providing guests with exceptional values, KBM Hawaii offers an incredible selection of accommodations at the best available rates. Every resort offers a unique balance of value and amenities, and kids 17 and under stay free (when using existing bedding). For extra savings, we invite you explore our online specials and offers. Each year, we enjoy the privilege of meeting and welcoming over a million guests from around the world, many of whom return again and again. 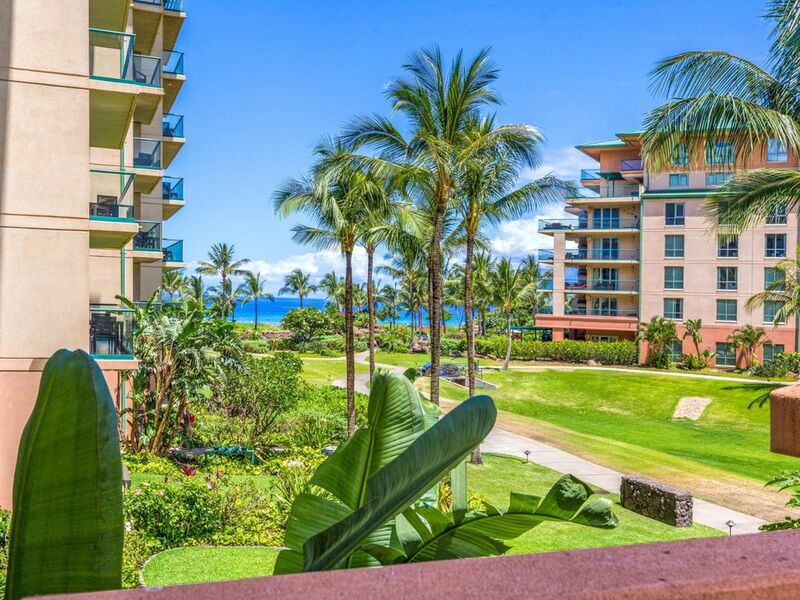 Please allow us to help you discover why millions have made KBM Hawaii's properties their favorite place to stay!. This beautiful villa is a privately owned residence made available for your vacation enjoyment exclusively by KBM Hawaii Luxury Real Estate and Vacation Rentals. The location is good, and amenities are too. There were a few things that made the cleaning questionable, but they were attentive when we had questions during our stay. I did reach out to see if I forgot an item and they never responded. I'd stay at the resort again. Good but insects need to be dealt with. Property was very nice. High end finishes and great appliances. There was a problem with roaches, nets and ants. It appears that the company is trying to address it but so far unsuccessfully. One morning when we turned the lights on in the kitchen, several small roaches ran across the counter top. Also, in the second bedroom the mattress cover needs to be replaced. Didn’t fit well and kept bunching up. Check in and out was smooth. Had a great experience, we were met at the front of the hotel by KBM representative that explained everything about our stay. The property was spacious and clean -- much better than we expected. I would stay here again. Everything was perfect with this condo. From emailing with KBM, to arrival, and during our stay - it was all calm and simple. The space is big and perfect for families. We enjoyed the large lanai and watching the sunset each night. The whole space is well -equipped and easy for our week long vacation. Will come again! Beautiful resort with all the amenities! Our family of 5 (children ages 10, 7, 3) enjoyed a week at the Honua Kai Resort and Spa. The two bedroom condo was spacious, the kitchen well equipped, and the beach items a plus. We upgraded the free rental car to a jeep and took some adventures north of Kaanapali Beach visiting Honolua Bay for snorkeling, a picnic by the Nakalele Blow Hole, relaxing at Fleming Beach, and cruising in Lahaina. It was paradise and we can't wait to go back!